Golfers will enjoy a day of golf including box lunch. A brief awards celebration will follow with cocktails, bites and prize drawing. Helping Our Heroes Foundation is a local organization founded in 2011 with a vision to help those who serve so that we can continue to enjoy the freedoms of living in the greatest country on earth. The heroes we honor may come from the Army, Navy, Air Force, Marines, Coast Guard or National Guard or may be local police, firemen or first responders. This support ensures these veterans have the resources they need during their recovery and transition back to their communities. Content copyright 2011-2012. 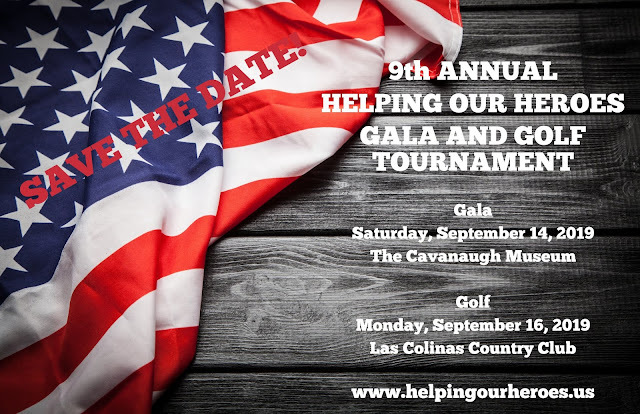 Helping Our Heroes Foundation. All rights reserved.